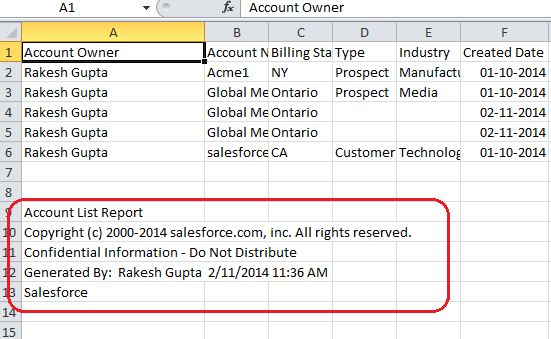 Before Sping’14 release if you export a Report from Salesforce you can find some standard message (By default Salesforce adds five rows to the bottom of the .csv or Excel file that’s created) displayed in the footer. 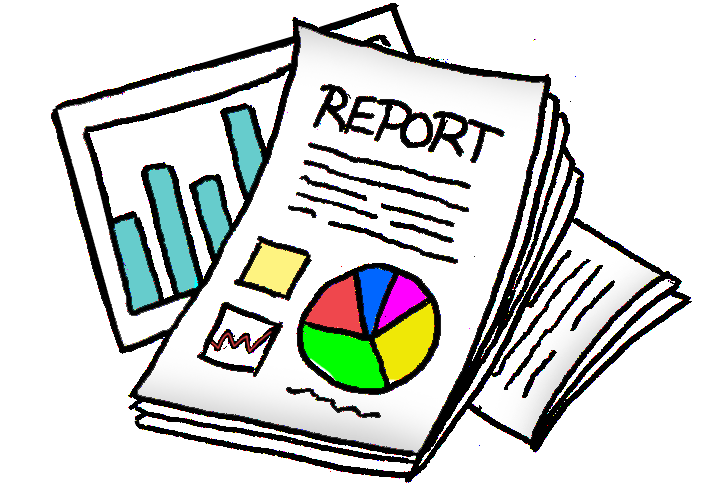 To export a report, Click on Report tab and navigate to report that you want to export and open it. Now click on Export button to export it in .Csv or excel as shown in below screen shot. In below screenshot I used account history report, You can see default message marked in the red. After Sping’14 release, you have an option to remove the information that’s normally displayed in the footer when users export a report to an Excel or .csv file. This feature available in Developer, Performance, Enterprise, Professional, Contact Manager, Group and Unlimited editions except Database.com. 1) Click on Name | Setup | App Setup | Customize | Reports & Dashboards | User Interface. 2) Now select “Export Reports Without Footers” check box. Now try to export same report and check the footer.